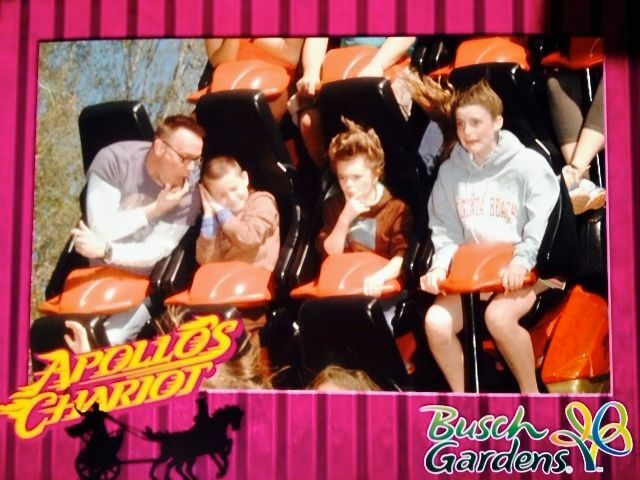 Yesterday we continued a long tradition of making the silliest faces for the roller coaster cameras as possible. We have ridden the rides so many times, we know exactly where they hide the flashes, waiting to capture that freaked out, horrified, terrified rider. But not us. We absolutely love roller coasters and always have, so we make it a challenge to get the best. Picture. Possible. And on this special shot we can thank those friends of our kids whom we roped into the deal. It takes planning, precision, and perfect performances from all involved. Clearly from this image you can see, mission accomplished. Should you find yourself in front of a roller coaster camera in the near future and have the wherewithal to pose, I invite you to take the Hnath family challenge and give it your best shot. No money in the deal to the winner, but some serious bragging rites to anyone who aces our faces, and in our house, that’s more valuable than an Oscar.